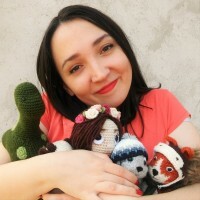 Find this free crochet pattern on Ravelry here. What you need for blouse size M(38)? Optional: One of your blouses to help you make measurements. 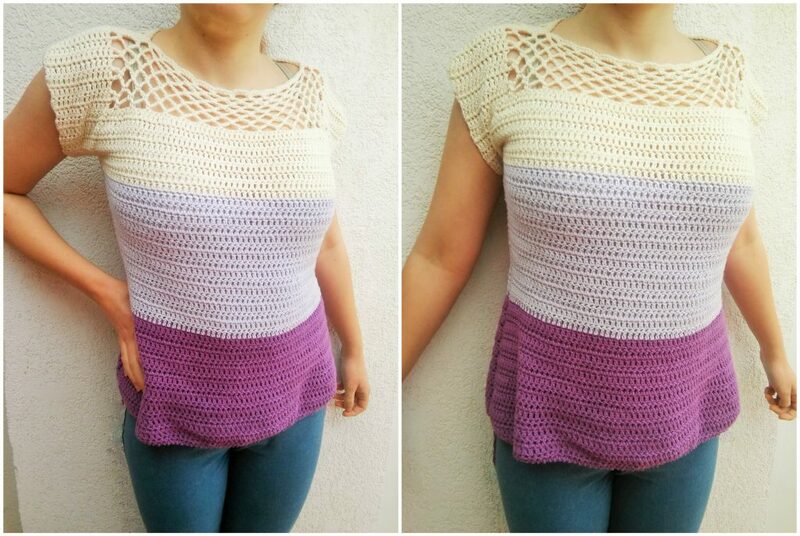 If you want to make blouse in different size, you can simply add or remove rows or stitches. This pattern will show you where to make those changes, look for this sign <>. 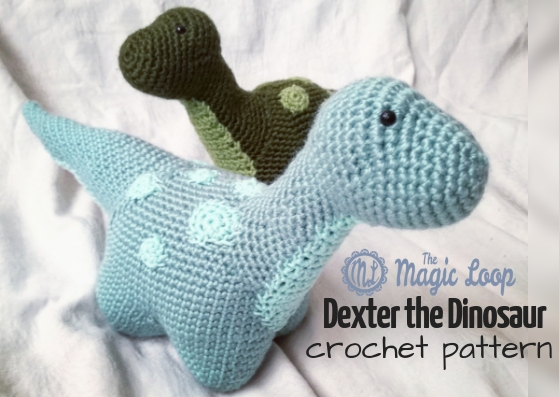 Both sides are made separately and than crocheted or sewn together. Both can be identical, or you can add one or few extra rows on the back side to make it longer. So, let’s strat! Start by chaining 83 for size M(make more or less depending on your size). Now is the time to start decreasing (for waistline) if you are making size M, for larger size add some extra rows. Now is time to increase a little. Cut the yarn or take the new color. My sleeves are 10 stitches long, so I chained 10. Chain more or less stitches for different sleeve sizes. Now we’ll start making net by crocheting Diamond Mesh Stitch. 41. dc13, *ch5, skip 3 stitches, sc in 4th* repeat *-* until you have 16 stitches left, than ch5, skip3 and dc in 4th. dc12, ch3, turn. 42. dc13, ch3, sc on 5ch space from row 43., *ch5, sc on 5ch space*, repeat *-* until last 5ch spce, ch3, dc13, ch3, turn. 49. sc13, sc3 in in 3 ch space, *sc4 in 5ch space* repeat trough all 5ch spaces, sc3in 3ch space, sc13. If you have any questions or comments, feel free to contact me in comments section of this post, on my Facebook page, or by e-mail [email protected] Also, if you make this blouse, send me some pictures, I’ll publish them on my social media pages. You have some lovely patterns. Thank you for sharing them! How many stitches to.invrease to size Xlarge? Thank you. I’d say 10 – 15. But the best way is to use one of your shirts as a guideline. Chain approximately 90 chains and than line it with the bottom line of your shirt. Than add some more chains if needed. Add three extra chains. Hi..I loved this pattern. Kindly tell me how I can make this for my eight years old daughter. Hi Rini! Take one of her shirts(one that fits best) and use it as a guidence. First chain somewhere between 40 and 50 chains and than put that chain along bottom line of your shirt just to see how many more(or less) should you chain. I’d recommend using FINE (2) weight cotton yarn and smaller hook than mine, 4mm(US G) should be fine. Also, you don’t have to make increases and decreases for the waistline if you don’t want to, just work it flat until you reach the sleeves… Again, the easiest method is to align your work with her shirt to see where you should inc/dec or where to start the sleeves. I hope it helps. I love this shirt but I’m wondering what weight and brand of cotton yarn did you use? It looks like sport weight but, it could just be the photo making it look smaller! Thank you so much for sharing! Can you explain the chain ten part for the sleeve and attach work with Dc to make 93? I’m pretty new and this is my first shirt I’m making, the dreaded sleeve part is why I’ve never tried a shirt….. If you could explain the sleeve part in detail keeping in mind I’m a total novice I would be so grateful! So, for the sleeves, you should take a new yarn. First chain 10(or more if you want longer sleeves), than, with that chain on your hook you yarn over(like you do for making dc stitch). Than you insert your hook in the first stitch of row 23, and do double crochet. Continue by making one dc in all remaining stitches of that row. When you do that, chain 10+3, that 3 chains are to get your hook in a right hight for making another row of dc-s, so the first dc of the row 34 should be in the 4th ch from your hook. Hi, very nice pattern…. I have a doubt.. what should be the total no. Of rows after repeating 6th and 7th row 6 more times?? I got 19 rows in total after that step.. is it right? Explain me pls.. This is beautiful – I’m going to try it… thank you for the last pic – where you can tell the shirt isn’t see through… because of this I’ll make it!!! Do you have a pattern for the skirt as well? 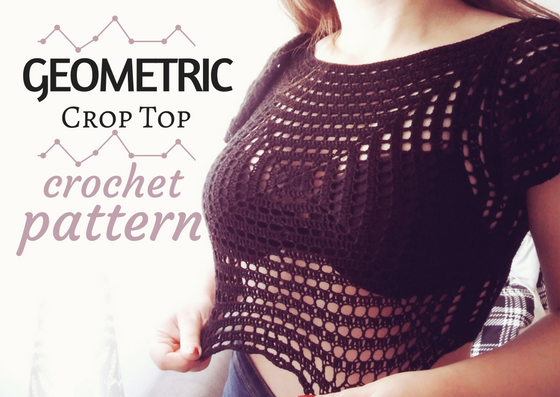 I love this top…eager to start…I’ve read the pattern several times through, but do not see where you change color yarns. I need this help to keep it looking even. I fairly new to making tops, this would be my second one. The other instructions did indicate when to change colors. I am so happy that I found this pattern,its beautiful. Hi Diane, I’m glad you like it. I did 16 rows in each color 3×16=48(+1 row of sc). It took me about 50g of yarn to make 16 rows for one side of the top. Hi Barbara. I want to say that I love this top! I’m working on it right now. I have a question though. I’m teaching myself to read crochet patterns. I’m still a beginner at crocheting. I’m making the medium and it seems awfully small. 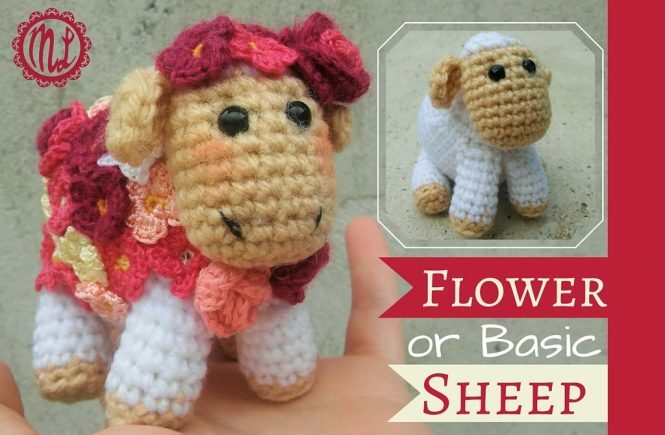 Am I supposed to make both a front and identical back and then sew them together? Please help. I’m very excited to make this top. Thank you! Hi Barbara. I’m up to the last 16 stitches. The sleeves and the diamond pattern. I did the 16 rows and and doesn’t lay straight. It kind of curls up. Also, can you explain exactly how to do row 49? Do I have to put 4 sc in each 5 crochet? I’m just a little confused. I’d appreciate any help you can give me. I’m going to rip out the 3rd set of 16 stitches and restart it again. Thank you!! If it curls up, it could be because your chains on diamond mesh part are too loose or too tight. About row 49., it’s the edge. You can do 4sc in each 5chain space, or less if you want it tighter. Ok. Great! Thank you again. Sorry to be a pain. I’m gonna redo the diamond mesh. Have a good night! 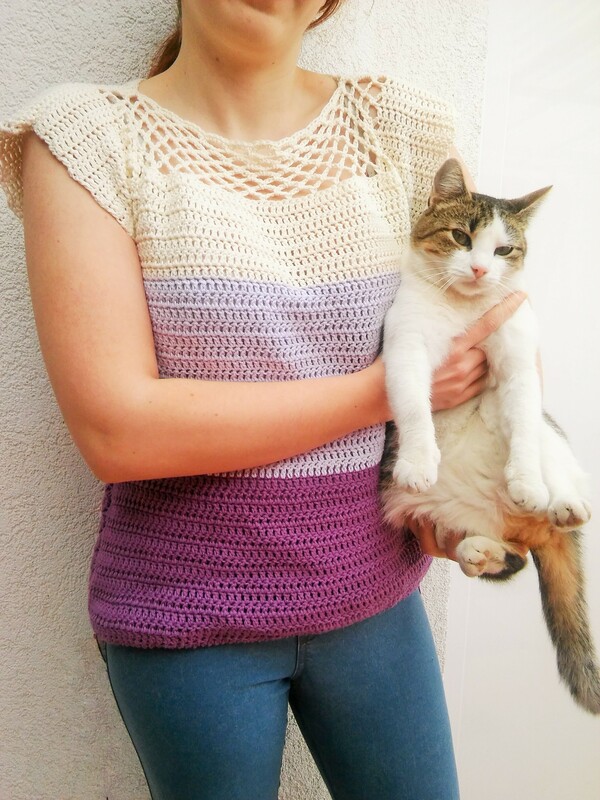 Hi Barbara I really love this pattern but im a size 2x girl can I still make this for my self and if I can , and how many do I need to start the first row of my chain and how many rows do I need to make? Hi Julie. There are instructions on how to make simple measurements of your body in this pattern.